The TRU (Transparent, Responsible, Unblemished) Stories portal has been developed as consumers are becoming increasingly savvy in their pursuit of healthier food that does not compromise on quality and taste while delivering a clean label. Seventy-five percent of US consumers claim to read the ingredient labels of food products, according to Innova Market Insights’ data and to keep pace, Synergy Flavors’ portal focuses on providing a framework for clean label product formulation – from concept to development – hand-in-hand with supplier partners. 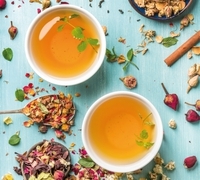 Through the TRU Stories portal, Synergy can connect with food and beverage manufacturers looking to solve their formulation challenges, in part by using an extensive range of natural extracts, essences and flavors to meet the desired label claims. Synergy Pure essences and extracts utilize a proprietary process, beginning with naturally sourced, plant-based ingredients – like coffee, tea, basil or cucumbers – to preserve the aromatic and flavor components at their peak of freshness. Synergy’s clean natural extracts are comprised solely of the natural essential oils, non-GMO alcohol and water. Or, if organic certification is a goal, Synergy Flavors’ line of certified organic flavors are verified by a third party to ensure they meet the strict US United States Department of Agriculture regulations for organic labeling. “With TRU Stories, our goal is to assist food and beverage manufacturers with building honest relationships with their consumers by having nothing to hide. It’s a great starting point in the process of education on using the purest ingredients to deliver an authentic, true-to-nature experience,” says Parveen Werner, Marketing Director at Synergy Flavors.